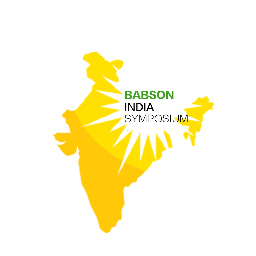 Babson India Symposium 2017 - scheduled on March 3rd 2017, is a platform for business leaders, future entrepreneurs, and academicians to exchange their experiences and thoughts on the promotion of entrepreneurial ecosystem in India. The conference day will be brimming with keynote addresses, panel discussions and fireside chats involving topics ranging from challenges of scaling up businesses in India and redefining family businesses to nurturing entrepreneurial ecosystem in India. The inaugural Babson India Symposium 2016 was extremely successful with distinguished speakers such as Rohan Murty, VG Siddhartha, Abish Mathew sharing valuable insight about the opportunities in India and how to unlock their potential. There was high participation from over 300 attendees from over 10 schools and corporates serving an opportunity for people trade thoughts with like-minded fellow attendees. Babson over the years has emerged as an entrepreneurial powerhouse having produced the largest number of start-ups in the world and consecutively being ranked the best for over 23 years. Looking forward to hosting you on Friday, March 3rd 2017 at Babson College. Bio: Amruda has hotels and hospitality in her DNA. From her grandfather, the late Captain C.P. Krishnan Nair, founder of The Leela Group, she inherited a maverick streak and an eye for trailblazing business opportunities. Amruda is an Economics graduate and has a degree in Hospitality Management from CHN University in The Netherlands and a master’s from Cornell’s School of Hotel Administration, New York, including exposure to Asian markets through the Nanyang Business School, Singapore. Amruda is a part of Hotelier India’s Power List 2016 that includes several acclaimed names from the hospitality industry in India. She has also recently won the Rising Star – South Asia award at the Hotel Investment Forum India, 2016. Aiana Hotels & Resorts is a global hospitality company that offers services that resonate with the next generation of guests. The company has signed 8 management contracts in the Middle East & India, with over 1000 rooms under construction in 3 jurisdictions namely Doha, Qatar and India in a span of 18 months. Aiana is all about ‘Hospitality 2.0’, a promise that is aimed at offering innovative service in a smart, stimulating environment and delivering an intuitive hotel management model that resonates with the next generation of travelers. 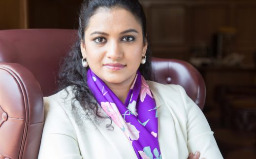 As joint managing director and chief executive officer of Aiana Hotels & Resorts, Amruda is responsible for designing the brand’s signature programming as well as spearheading the company’s overall business development to create a unique proposition that will define the next wave of smart hospitality. Bio: Ash Lilani is Managing Partner and Co-Founder of Saama Capital. Ash has been working with technology and venture capital globally for 25 years. He was an early pioneer of the Indian venture capital ecosystem and has been investing in India since 2003. At Saama Capital, he has led investments in companies such as Snapdeal, PayTM, Lending Kart, Chaipoint, EazyDiner, Sula Wines, Veeba Foods, Raw Pressery, Genesis Colors, SKS MicroFinance, Prizm Payments, Applabs, Shaadi.com, Vistaar Finance, Shubham Housing, Modern Family Doctor, Games2 Win and many others. Prior to Saama, Lilani served as the President of India and China markets for Silicon Valley Bank and he founded and headed SVB Global, setting the strategy and overseeing the development and operation of international subsidiaries in London, Tel Aviv, Bangalore, Mumbai, Beijing and Shanghai. Prior to taking on SVB’s globalization efforts, Lilani served as Senior Vice President and Division Manager of SVB’s largest market and was based in Silicon Valley, where he was responsible for commercial banking activity and leadership of the team closely working with leading venture capital and technology companies in the area. Ash continues to be an advisor to Silicon Valley Bank. He is also an independent board member of Innoven Capital., which is a Temasek backed company focused on venture debt in India. He also is an advisor and mentors several entrepreneurs and young companies in Silicon Valley and India. Ash Lilani is a Board member at the American Indian Foundation, a former board member of the U.S.-India Business Council, a charter member of TiE, and was a founder of the U.S.-India Venture Capital Association. 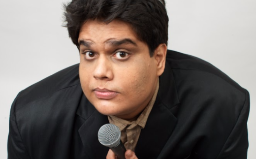 Ash Lilani holds a Bachelor’s degree in Finance and Accounting from Bangalore University and has a MBA degree from Philadelphia University. Bio: Dr Ritesh Malik is an Indian doctor, entrepreneur and investor. He is honored to be in FORBES 30 under 30 Finance and Venture Capital List- ASIA of 2016. He’s also the CEO of a Y Combinator company, Innov8.Work. Ritesh runs a virtual Startup Accelerator in India, currently investing in and mentoring 20+ startups across various industries. He was the first investor & mentor of FIN ROBOTICS, which became the first Indian hardware product company to raise a Series a venture funding. In 2015 Ritesh plans to launch his latest funding venture, ‘Project Guerrilla’, his vision for a premiere India based accelerator & incubation centre. He is on a mission to make India the next BIG entrepreneurial hub of the world. His journey till now has been very exciting. Since March 2013, after finishing MBBS, he cofounded a technology company (Adstuck) that sold off its flagship product (ALIVE APP) to the Times of India. He is leading an angel fund, Guerrilla Ventures that has invested in over 20 companies mostly in the hardware space e.g. Fin, Sectorqube, Exploride, WooStays, Comet Core, Flip Technologies, Wigzo, Mashinga etc. Since 2014 he cofounded Harvin Academy, Thinkpot, and Innov8 Coworking. Innov8 is a Single Point Power Focus space for Startup Activities. Ritesh believe that nurturing startups would bring a lot of value to this ambitious project. On the same path, Innov8 is a journey of Transformation of India into a Product Nation. His mission is to realise the dream of Make in India & Digital India by 2030. He believe that, India is a nation of Opportunities & Talent. By partnering with the Right Minds & organisations worldwide & with the support of the Government of India he want to make this dream come true. Ritesh has been passionately instrumental in building of the Make in India thought process. 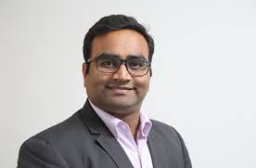 Bio: Mr. Jay Krishnan is the CEO of T-Hub Hyderabad, India’s faster growing startup engine with India's largest incubator, curated seftor- focussed accelerator & fund. He has been a successful Serial Entrepreneur and investor with successful exits in the US and India and has worked as a Senior C- Level Executive with 15+ years of start-up and corporate B2B Experience. During his professional career, he has worked on large Deals across global customers’ worth over $50M and successfully founded and ran Product & Services P&L across 10+ verticals and Business Units worth $100M in Start-ups and MNCs. He also spearheaded Global GTMs for Start-ups and MNCs and managed clients across different segments and different countries. 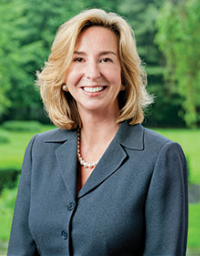 Bio: Dr. Rao teaches extensively in the Babson Executive Education programs. His executive teaching and consulting is in the areas of innovation, implementation of innovation initiatives within firms, corporate entrepreneurship and customer experience innovation. His research has appeared in The Sloan Management Review, Journal of Innovative Management, The European Business Review, The European Financial Review, Cornell Hotel and Restaurant Administration Quarterly and others. He is the author of the book “The Discipline and Culture of Innovation.” He has written several business cases on a range of topics: Innovation Strategy, Innovation Culture, Leading Innovation, Customer Service, and Strategy Execution. He has also taught executives and/or consulted for Reed Elsevier, PWC (Spain), Bayer Material Science (Germany), Iberdrola (Spain), Massachusetts General Hospital (Boston), PRIME Business School (Colombia), Banco Occidente (Colombia), Chilectra (Chile), Agricola Garces (Chile), Groupo Security (Chile), Entel (Chile), Coagra (Chile), Inter-American Development Bank, Benchmark Assisted Living (Boston), EMDSerono, FORUM (Colombia), FitLinxx, Penteo (Spain), BFA Conseil (France), Novartis, Lojack, Fidelity Investments, Merrill Lynch, Boston Scientific Corporation and others. He currently sits on the Innovation Advisory Board of Bancolombia (Colombia), and on the Flavor Advisory Board of Firmenich (Switzerland). Bio: Raghunandan was the Founder and Chief Executive Officer of TaxiForSure, a taxi-aggregator that is revolutionising India’s urban commute. He founded TaxiForSure in 2011 along with co-founder Aprameya R, with the vision of solving India’s commuting woes through technology. While Raghu (as he is popularly known) is a hands-on CEO, he focuses his energies towards building Strategy, Product, Operations, Finance and Human Resources at TaxiForSure. Raghu is a graduate of Indian Institute of Management - Ahmedabad and NIT-K. Before founding TaxiForSure, Raghu was a Consultant at Feedback Ventures for 3 years and also worked at Texas Instruments before pursuing his MBA. Raghunandan is an avid reader, a marathon-runner and a walking encyclopaedia in his own rights. He is awarded “2014 40 Under 40 business leaders of India” by Fortune India. Bio: Rohit Arora, CEO of Biz2Credit, is one of America's top experts in small business lending and the use of FinTech to streamline the funding process. In 2011, he was named New York City's “Top Entrepreneur” by Crain’s New York Business, which named Biz2Credit among NYC’s “Fast 50” of 2014 and 2016. He meets regularly with top executives from the Federal Reserve and the Small Business Administration (SBA) and has updated the President's Council of Economic Advisors at The White House on matters related to small business lending. Since its inception in 2007, Biz2Credit has arranged more than $1.5 billion in funding and has over 200,000 registered small and mid-sized company clients. The platform handles more than 5,000 new loan applications each month, on average. Rohit is a frequently quoted source on banking and technology trends, the emergence of institutional investors in small business finance, convergence in payments and funding companies, and other topics. 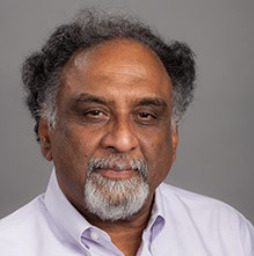 Bio: Sam Hariharan’s research, teaching and consulting expertise are in competitive in high-tech enterprises (how companies create new competitive spaces through and entrepreneurship), and the strategic management of innovations in the global enterprise. In executive education and consulting, he has worked with senior managers from many companies such as Wipro, Covidien, Merck, Mattel, Armstrong Industries, Toyota Motor, IBM, Xerox and others. Prior to coming to Babson College, Sam was Associate Clinical Professor at the Marshall School of Business, University of Southern California (USC). He is also currently a Visiting Associate professor at GISMA in Hannover, Germany. His teaching has received several awards: Golden Apple Teaching Award at USC, and the Distinguished Teacher at Krannert for four years. While at USC’s Marshall School, he was recognized in the Business Week annual survey of business schools as among the best professors of Strategy. Sam is the author of several teaching and research cases, journal articles and book chapters. His academic research has been published in the Journal of Economic Behavior and Organization, and Managerial and Decision Economics. He earned his Ph.D. in Strategy from the University of Michigan in 1990. Bio: Dr. Rangan holds the Luksic Chair Professorship in Strategy and Global Studies. His teaching, research, and consulting activities are in the areas of strategy, globalization, alliances, and entrepreneurship. His current research deals with the globalization of emerging market firms, evolution of industries and rm-level strategies and the impact of national business systems on them, and entrepreneurial ecosystems of countries. 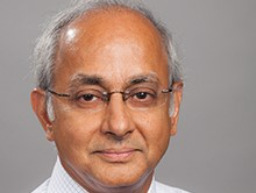 After serving as a manager in industrial and international finance in India and England, Dr. Rangan held research and faculty positions at IMD, Harvard Business School (HBS), and Tulane University, where he received the Howard Wissner Award for Outstanding Teaching. At Babson, Dr. Rangan is the first professor to receive three different awards – the Deans’ Award for Teaching Excellence across all programs (selected by deans), the Thomas Kennedy Award for Outstanding Teaching in graduate school (voted by students), and the Faculty Award for Scholarship (chosen by faculty research committee) – at Babson. Dr. Rangan has worked with several organizations including: AAMO, ACMA, Aditya Birla Group, Allied Domecq, Biotech Council of Massachusetts, Constantia, Entergy, Expolanka, Gammon India, GE, HDFC Life, Haemonetics, Holcim, IBM, In neon, Intel, L&T Finance, Novartis, Nypro, Olam, ONGC, PDVSA, Panasonic, Pitney-Bowes, Siemens, State Bank of India, TCIL, Telenor, TVS Motors, and Wipro. Bio: Vikas Malpani is a Computer Science Graduate turned Entrepreneur. He is Co-Founder of CommonFloor.com, World’s first & India’s Leading community centric Residential Real Estate portal. At CommonFloor he has assumed various roles as per need of the organisation. In his current role as head of CommonFloor Groups he drives and rejuvenates CommonFloor’s founding product which helps Apartment owners/neighbors come together to communicate, collaborate & manage their apartment. He envisions CF groups as utilitarian neighbourhood network for all things related to home. His passions & expertise lie in envisioning the big picture, creating innovative solutions to business problems and building teams to deliver to the needs of the business. He contributes to the Startup ecosystem in various roles: Angel Investor, Mentor, Advisor, fellow entrepreneur and as a student of tomorrow. He is a recipient of MIT TR35 Young Innovator award among many other accolades from the Industry. He is a speaker at various forums ( FICCI, NASSCOM, TIE, CyFy, Unpluggd) on Startups & Real Estate in India. Bio: An avid tennis player, Vivek’s journey in the business world much like his tennis can be defined as bold and tactical. Vivek has been the founder promoter of India’s largest apparel exporting company Gokaldas Exports that was sold strategically to Blackstone in 2011. At that point the company had 40,000 employees operating out of 38 factories. Vivek was at the forefront in growing the company to dizzying heights. His enthusiasm and smart marketing skills reflected in the growing number of customers that Gokaldas had developed over the years. He oversaw the marketing department at Gokaldas and was responsible for developing and implementing practical solutions to effectively enable client contact in the global marketplace. Vivek has 20+ years of international fashion business and retail experience and was instrumental in setting up India’s first organized retail chain “The Wearhouse”. After a majority stake sale to private equity firm Blackstone, Vivek exited the apparel business and went on to do a 1 year program at the Indian Institute of Management Bangalore in Business Analytics and Intelligence. Given his passion for data & analytics, he started Matrix & Vectors, a Business Analytics company specialising in the area of Retail and E-Commerce analytics. Vivek is also a participant at the Stanford school of Business Executive Program. Bio: Co-founder of Wishberry, India’s largest crowdfunding platform for creative artists, Anshulika Dubey calls Kickstarter the inspiration behind her venture. She quit a job opportunity in the US to pioneer the concept of crowdfunding in India. So far over 350 creative projects have raised around 2 million dollars through Wishberry and almost 30% of this funding has come from Indians living abroad. She doggedly believes that crowdfunding is a lifeline to resuscitate Arts and Culture in India.